Swimsuits, barbecues, and iced tea. Like the smell of sunscreen and the sound of the air conditioner blasting, they define summer. 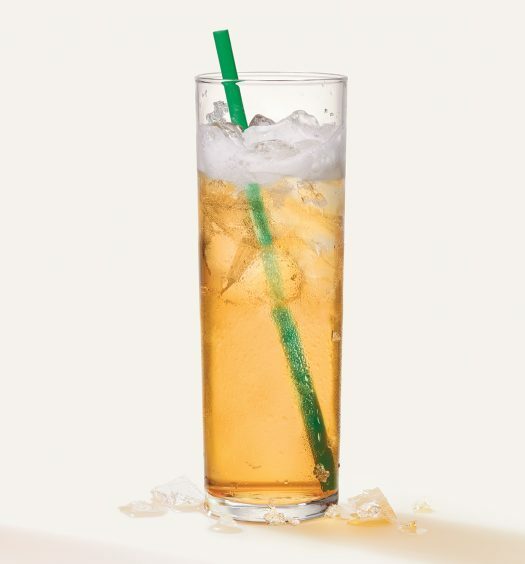 And this beach season, you can score free cocktail-inspired iced teas at Teavana stores every Friday between 3 and 7 pm. Beach Bellini ™, has notes of papaya, pineapple, and citrus that make a bright, tropical splash. Strawberry Daiquiri, combines sweet strawberry, smooth vanilla, and rose petals. Piña Colada, brings you to paradise with coconut, pineapple, and vanilla-kissed tropical fruit. Mandarin Mimosa, a breezy, citrus-brightened blend that combines mandarin orange, mango, papaya, and lemongrass. The promotion combines two things people love: iced tea and cocktails, taking out the buzz but keeping all the refreshing flavor. 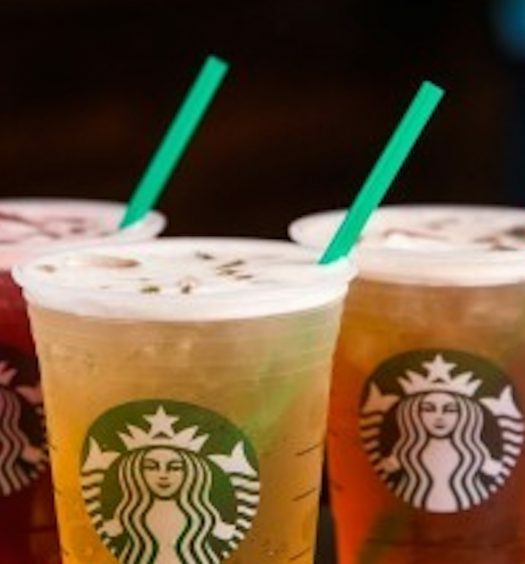 The flavors chosen for the featured iced teas reflect consumer preferences in the US. According to Business Insider, the pina colada was the 25th best-selling cocktail of 2016, while the daiquiri was the 4th most popular. 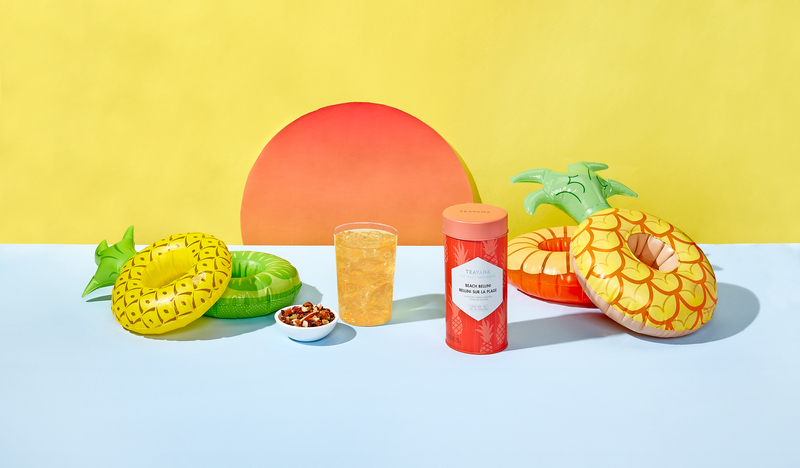 No doubt, these stellar performances informed Teavana developers when finalizing the Summer Fri-YAYS menu, while the inclusion of mimosa and bellini-inspired teas will tantalize consumers familiar with these flavors from classic brunch menus. And since the Tea Association of the USA reports that 80% of the tea consumed in the country is iced, Summer Fri-YAYS seems likely to resonate with American consumers. 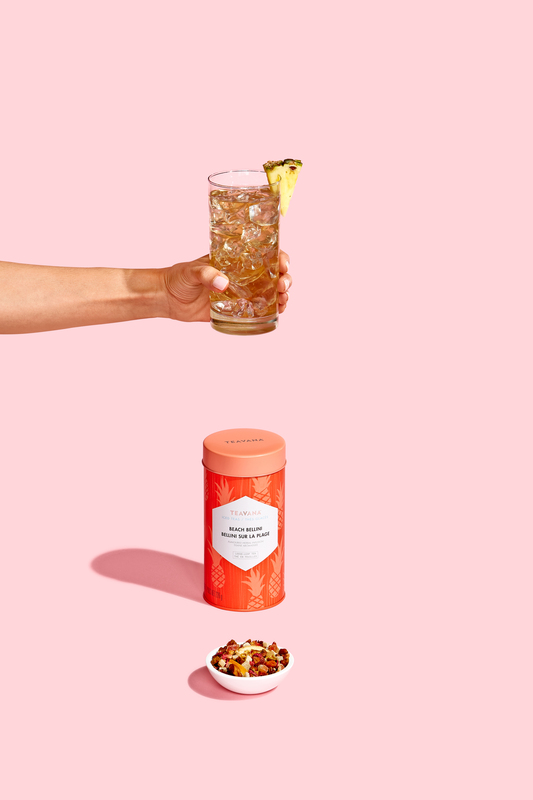 If you fall hopelessly in love with any of these featured iced tea flavors and want to whip up a glass at home, each is available in loose leaf. You can get your hands on a $40 sampler that includes 2 ounces of each variety. 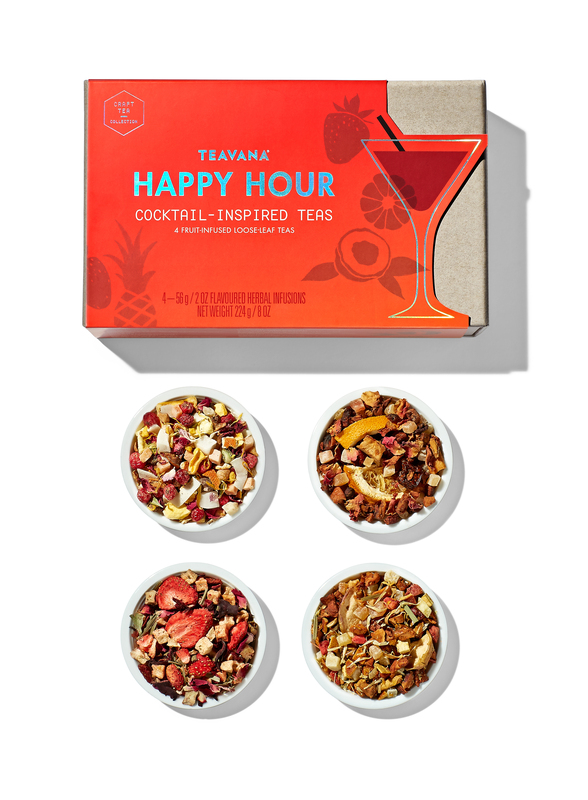 Teavana suggests this sampler will brew anywhere from 24 to 34 cups of iced tea. 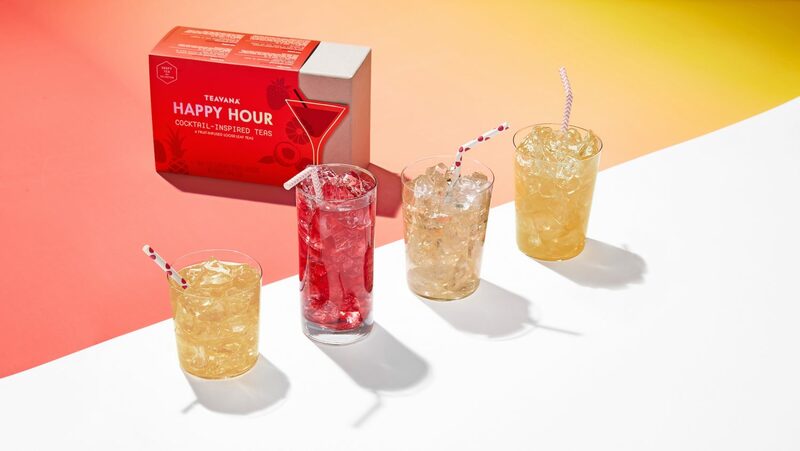 Whether you enjoy one of these cocktail-inspired iced teas in a Teavana store or from a home-brewed pitcher, since they contain zero alcohol and zero caffeine, Happy Hour can be fun for the whole family. Plus, sober friends will appreciate being able to partake in Happy Hour stress-free. 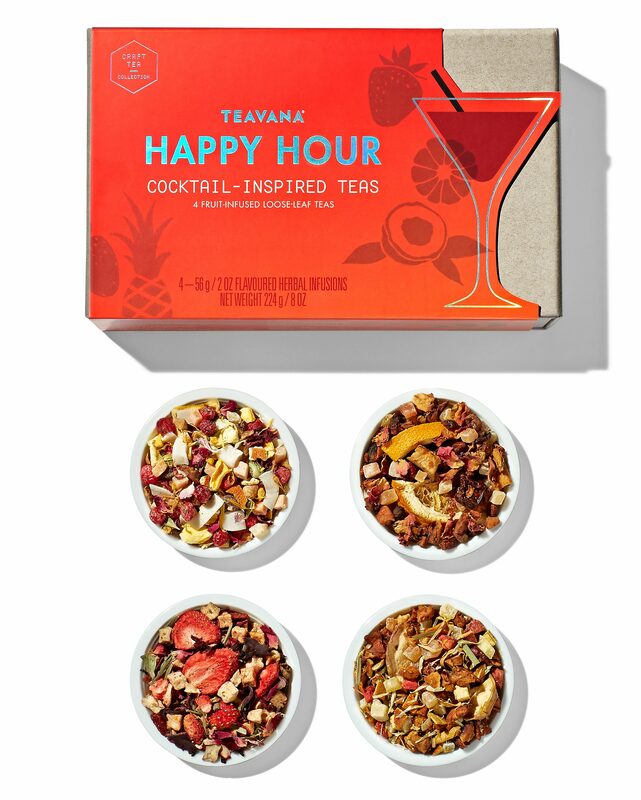 To locate the Teavana store that’s closest to you and start your weekend off with a huge dose of flavor, click here.